Dr. Jean Davison earned her doctoral degree in audiology in 2004 from Central Michigan University. 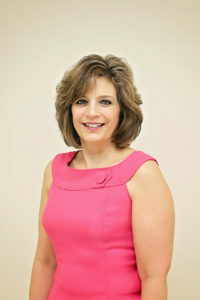 She obtained her master’s degree in audiology in 1988 from Adelphi University NY where she was awarded a graduate assistantship in the audiology department. Dr. Davison obtained a Bachelor’s of Arts degree in Communication Sciences and Disorder from Montclair State College in 1986. Dr. Davison is a Delaware licensed audiologist and has served on the Board of Speech Pathology, Audiology and Hearing Aid Dispensers. She is a fellow of the Academy Of Audiology and has a Certificate of Clinical Competence from the American Speech Language Hearing Association. Dr. Davison has been a practicing audiologist for 29 years. She started her career at Long Island Jewish Medical Center. She relocated to Delaware in 1989 when she developed the Audiology program at Nanticoke Memorial Hospital. Shortly after she was the Audiology Director for Ear, Nose, & Throat Associates of Seaford and Nanticoke Ear, Nose, & Throat. In 2015, she developed the Audiology Department for Beebe Medical Group working in the Ear, Nose, &Throat/Audiology department. She specializes in diagnosis and treatment of auditory and vestibular disorders. She works with a variety of patient population’s infants, children, developmental disabled, and adults. Dr. Davison performs comprehensive hearing evaluations, hearing aid and Bone Anchored Hearing Device (BAHD) implant evaluations. She also fits the very latest hearing aid technology and assistive listening devices. In addition, she makes custom swim plugs and hearing protection.